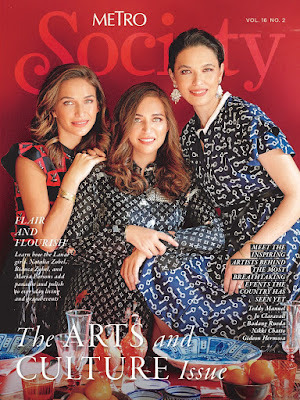 Just in time for the National Arts Month, the arresting, impressive women Natalia Zobel, Bianca Zobel, and Maria Parsons grace the cover of Metro Society’s Arts and Culture issue, as the magazine pays homage to Filipino artistry in all forms this February. On the cover are the women behind lifestyle brand LANAI—Natalia, Bianca, and Maria—who have evolved their venture so beautifully in a short span of time. 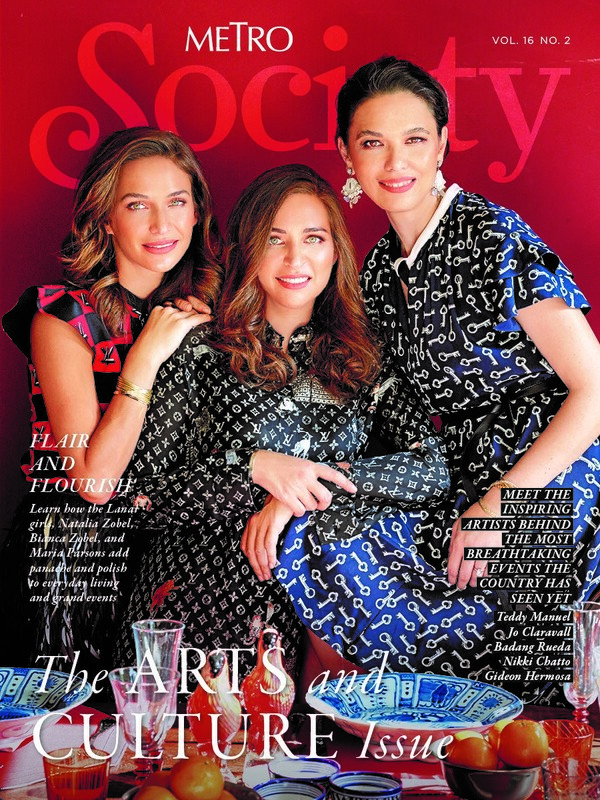 The last time Metro Society had the privilege of having these women on the cover, it joined them in celebrating the launch of their store in The Alley at Karrivin Plaza. Now, LANAI has branched out into event styling, a natural direction it may seem from its popular floral arrangements services, proving to be a formidable force in a buzzing, hot-right-now industry. Following the cover story is an equally inspired feature on a different kind of artistry. Get to know five of the industry’s most established talents: Gideon Hermosa, Teddy Manuel, Badang Rueda, Jo Claravall, and Nikki Chatto, as they take the magazine through their signature styles and talk about their journeys to the top. With the upcoming Art Fair PH and several other art fairs happening around the metro this month, discover 11 artists to celebrate and take note of. In On The Verge, get up close and personal with artists Olivia D’Aboville, Liv Vinluan, MM Yu, Ryan Villamael, Christina Ramillo, Cos Zicarelli, Zean Cabangus, Nice Buenaventura, JC Jacinto, Jose Tence Ruiz, and Sir Oca Villamiel. In New Beauty, meet up-and-coming artist Paulina Luz Sotto as she talks about pursuing her true passions and carrying on a legacy from grandfather and National Artist Arturo Luz. All these and more in Metro Society’s Arts and Culture issue, now available in newsstands and bookstores nationwide for only P250. Follow it on Instagram via @metrosocietyph.